Career opportunities in manufacturing provided through WorkSourceWA.com in partnership with the Association of Washington Business (AWB), Washington’s designated manufacturing association. From constructing the best airplanes in the world to producing first-class textiles, today’s manufacturing careers are high-tech and diverse. And, the sector offers hands-on workers of all ages family-wage jobs with pathways for career growth. Training solutions for manufacturing employees. Manufacturing teaches people vital skills. Get a head start on skills that are attractive to employers. 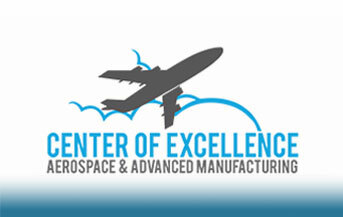 Visit the Washington’s Center of Excellence for Aerospace & Advanced Manufacturing to learn about fast, flexible, quality education and training programs connected to the industry. Core Plus helps students across Washington learn to build airplanes, boats, buildings – and their futures. This site connects you with Core Plus programs, teachers, employers, opportunities and resources. Apprenticeship is a great pathway to a satisfying career. It’s equivalent in time and academics to earning a bachelor’s degree, but you get paid while you learn and you don’t incur all the costs of attending college. 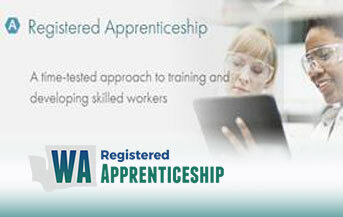 Become an apprentice. Search Washington’s community and technical colleges for available degree programs in aerospace and advanced manufacturing. Employers also can connect with instructors about graduating students in manufacturing. Many manufactures have a shortage of workers and are willing to hire and train people in the skills they need to be successful. 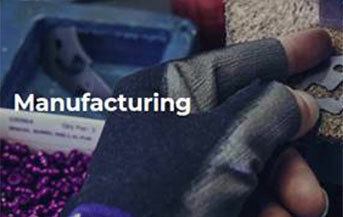 Explore manufacturing career opportunities in Southwest Washington. 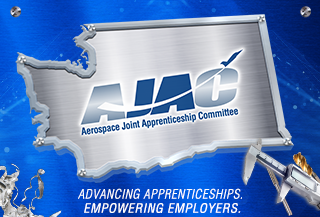 Launch your career in aerospace and advanced manufacturing through AJAC’s registered apprenticeship programs. Receive paid on-the-job training, college-level classroom instruction, one-on-one mentorship, and a nationally recognized journey-level credential upon completion. These people have found fulfilling and sustainable careers in manufacturing. "Aerospace manufacturing is an exciting sector of work. The career opportunities are numerous, whether you’re a high school graduate with little to no experience or a degreed professional. Best of all, there’s room to grow and advance your career." "Manufacturing teaches you to problem solve every single day, which is very gratifying. You must be able to set up the machine and account for what happens next. The machinist must be very mindful of everything with a good attention to detail." "Manufacturing gives me the opportunity to learn new things and challenge myself. It has provided financial stability for my family and most of all, I have a great sense of accomplishment at the end of the day." "I love working with my hands and the sense of accomplishment when completing a job. I'm building parts that build an airplane and that's pretty cool."